The gates of Bagh Melli, where some offices of ICHTO are located. 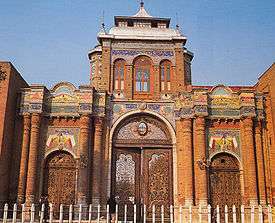 The gates were constructed during the Qajar dynasty. 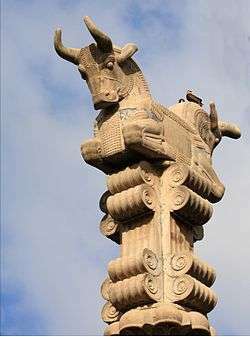 Iran Cultural Heritage, Handcrafts and Tourism Organization (Persian: سازمان میراث فرهنگی، صنایع دستی و گردشگری‎‎) is an educational and research institution overseeing numerous associated museum complexes throughout Iran. It is administered and funded by the Government of Iran. It publishes and oversees the publication of many journals and books, and carries out projects in conjunction with foreign museums and academia. It is similar in scope and activity to the Smithsonian Institution. ICHTO has branches in all Provinces of Iran that administer and operate local projects, sites and museums.